Report RSS	Renegade X - 0.5 Beta Release! Renegade X 0.5 includes new maps, buildings, weapons, and much more! The fourth version of Renegade X is up and ready to play! 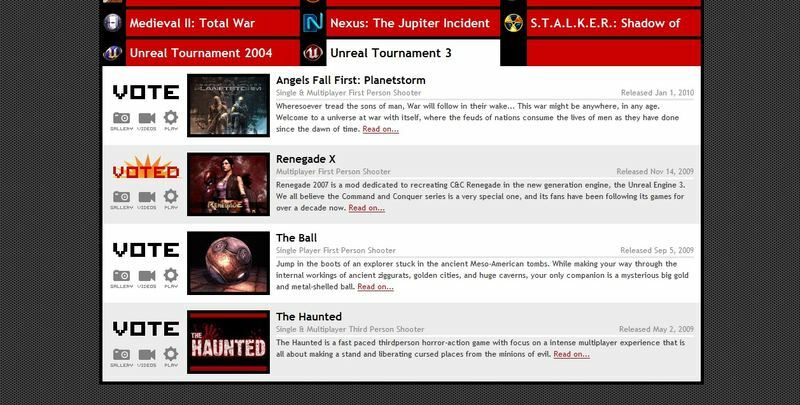 Renegade X is the Command & Conquer mod for Unreal Tournament 3, and since September 30th 2009, our beta has been open to the public to try out. We've consecutively released three versions of Renegade X in just over three months, and now our long-awaited version 0.5 is now available. 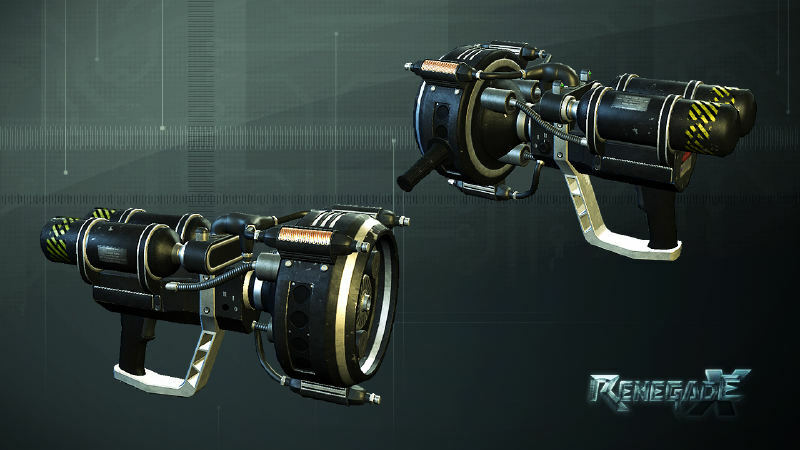 This will be our final build for Unreal Tournament 3. At this point forward, the team will be concentrating on porting Renegade X over to the Unreal Development Kit - this process will make the mod standalone, and therefore, once we make our Renegade X releases for the UDK, you will no longer require Unreal Tournament 3. The process will take a few months, and we will be sure to update you all with details once things are on their way. Download Renegade X 0.5 here! 1. You must have a legal copy of Unreal Tournament 3. If you don't have it yet, it can be found for extremely reasonable prices on Steam and most game stores. 2. You must have the latest Unreal Tournament 3 patch applied to your game. If you have UT3, and have not yet patched it with the latest UT3 patch, then please download it here: Udn.epicgames.com NOTE: If you bought the Unreal Tournament 3 Black Edition from Steam you do NOT need this patch (it's already included). 3. You must remove any previous versions of Renegade X from your computer. Go to your "My Documents\My Games\Unreal Tournament 3" folder, and delete the "Renegade" folder before you install Renegade X 0.5. 4. Download the Renegade X 0.5 beta. 5. Run the installation to fully install this version of Renegade X. 6. Create a shortcut to the mod. If you are unable to launch the Frontend (Server Client) application, the reason is because you do not have .NET frame work 3.5 installed. 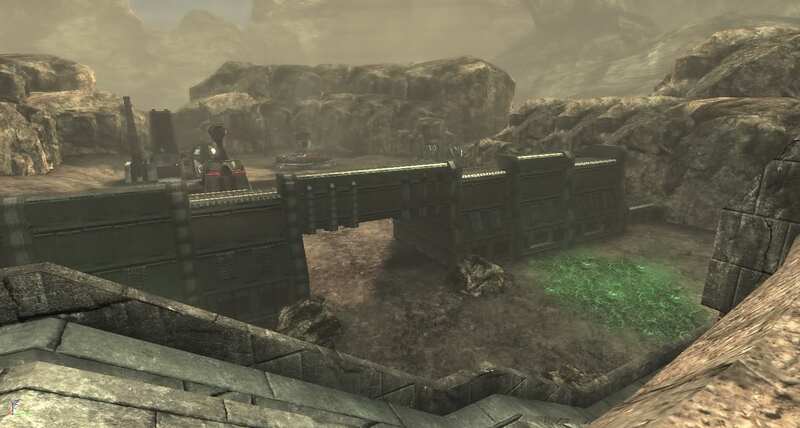 However, you can still run the mod by creating an Unreal Tournament 3 shortcut, and in the Properties target line, simply add " -mod=..\Renegade -solomod" minus the quotes at the end. Playing the mod in "Instant Action" also requires this same short cut. Maps and Mods for Renegade X! That's right! Since this will be our last major release until the standalone version, the Renegade X team has decided to release a Map Editor and the mod's Source Code. These tools come with the 0.5 release download, and with them, one can make their own custom maps, mutators, and total conversion mods for Renegade X. You'll be able to put any custom content into Renegade X - so go ahead, make the mod yours, and go nuts with both the map editor and source code. We've spent the last two months adding plenty of new content, and fixing glitches for this new version. Changes include two new maps (Under and Walls), Powerplants, new weapons (Volt Autorifle and Ramjets), mod tools, enhanced visuals, bug fixes, and much more. Mod of the Year Voting! On behalf of the Renegade X development team, I'd like to thank all of our fans. We've made it to Mod DB's "Top 100 mods" for their annual Mod of the Year (MOTY) awards. We could not have done it without you, and we are greatly thankful that you have chosen to vote for Renegade X out of over 3,500 active mods. We call on you again! The phase 2 to the MOTY has now begun. This is the real challenge. We are up against all the other released mods for the Top 5 Released category. Voting is now reset, and the top 100 mods are in competition for the top mods and indie games position. THIS MEANS YOU CAN NOW VOTE AGAIN IF YOU ALREADY HAVE VOTED FOR RENEGADE X DURING PHASE 1! And under the "Top 100 Best Released Mods & Indies of 2009" category, click Unreal Tournament 3, and then click on the "VOTE" button beside Renegade X. The 0.5 beta includes new and updated art. Walls is back, and is looking better than ever! 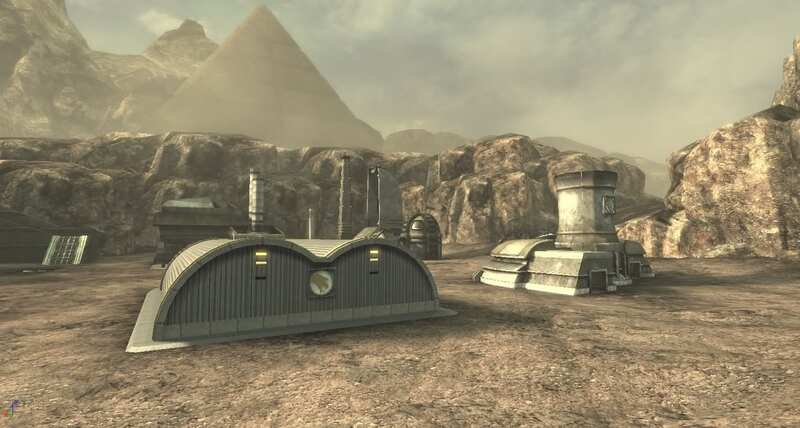 The very first C&C Renegade map is now back, in Renegade X 0.5! That's all for now! Keep an eye out for more updates: we'll be talking about upcoming events, patches, progress news, and more, in the coming weeks and months. Fantastic texturing on the repair gun guys. Can't wait to get this sucker installed! Sweet its gonna be stand alone! That means more people to play with!!! great update guys. and nice to see you going to the UDK. "remember the UDK isnt working 100%" i make allot of unreal materials and epic support told there was a issue with the viewports and materials but get fixed! 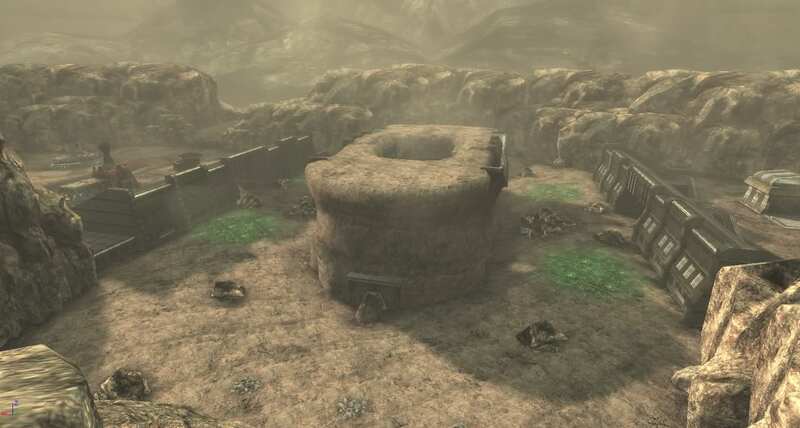 Man your maps look so polished, cant wait for UDK release, wont have an excuse to not try it. Quick Q, when you switch to UDK, will you add support for other OS like Linux? so the ps3 version is going to be released after the PC version has been completed? I have a friend who's probably gonna faint once I show him the stand-alone version of this. Seriously, just a few screenshots are enough to convince me that this is one hell of a good project. Played the old Renegade alot, can't wait for the standalone version. The frozen map is awesome ! This looks awesome..again! Nice to see that Under is now in the game. Hope you still release updates including the remaining weapons before you work on the standalone-version. Quick, someone start a Red Alert version of this before the A Path Beyond developers notices! I hope bot support is on the "to do" list. I love the concept and the execution! Great job, graphics look amazing! Its pretty high on the ToDo-List, but we haven't reached it yet. Just when I finally get around to downloading 0.4, you guys make an update! Ah, well, at least the mod's active. Sweet, but will bots remain for the stand-alone version? Bots will be there, once we got other priorized things done. UDK coming up asap! Give us some time, though! Having issues with binkw32.dll - upon trying to join a server I get an error message saying it's missing from my computer. Finally, I can get online. Great work! For some reason I can't download the patch 3 for Unreal Tourny. It won't allow me to go to the like click the link. Man, the repair gun looks awesome! And it's going to be stand alone? I am definitely downloading this.